The lifting of sanctions will serve as a reward to the Zimbabwean government, emboldening them in their violent repression. It will increase the pressure on Zimbabweans to flee for their safety, writes Stevens Mokgalapa. The department of international relations and cooperation (Dirco) has reacted to the crisis in Zimbabwe in an astonishingly irresponsible manner. 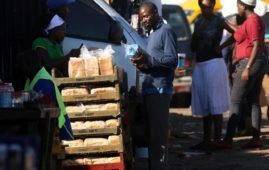 The scant attention paid by President Cyril Ramaphosa and Minister Lindiwe Sisulu to developments in Zimbabwe indicates that they have failed to grasp the repercussions of economic and political instability in Zimbabwe for South Africa. With a functional government, assistance to asylum-seekers could be rendered efficiently. The ANC is not such a government. The result of unchecked inward migration will add pressure on social services and an exponential increase in social tensions that revictimise foreign nationals seeking refuge in South Africa. The well-documented dysfunctional state of our border infrastructure should therefore worry everyone including all who wish to see South Africa fulfill its constitutional and international law obligations. The respect for the sovereignty of states is an established imperative in the international system. It also has a tragic history of being used to justify non-intervention when states have clearly ceased to fulfill their obligations to their citizens, and worse, when states have started to brutalise their own. What is not considered by proponents of sovereignty as a primary concern is that intervention occurs on a spectrum. The call for South Africa to intervene in Zimbabwe does not necessarily involve military action. A public condemnation from an ally can have an effect on the behavior of a government. Sanctions which can start small and be expanded or rolled back depending on the conduct of the offending state can also be useful. 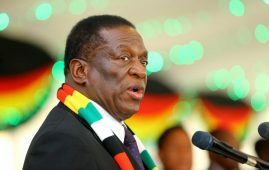 When the crisis in Zimbabwe began, President Emmerson Mnangagwa left the country for a four-nation tour during which he would be seeking loans and/or investments. 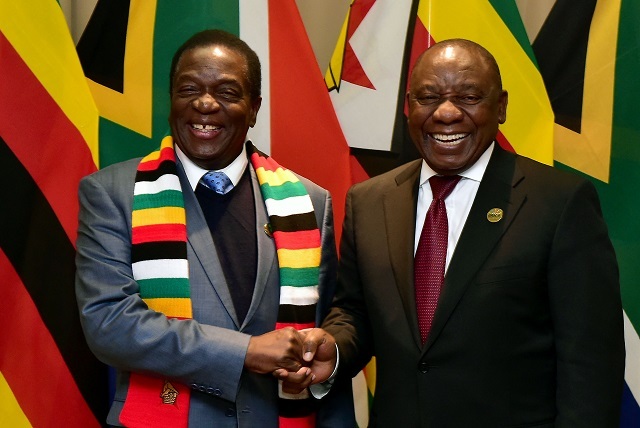 A stern word from President Ramaphosa would have necessitated a reaction from President Mnangagwa lest his fundraising efforts be undermined. Instead, the South African government seems perfectly happy to accept President Mnangagwa’s obfuscation and blame-shifting. This is the only conceivable explanation for reports that President Ramaphosa has during the first day at the World Economic Forum called for the lifting of sanctions on Zimbabwe. 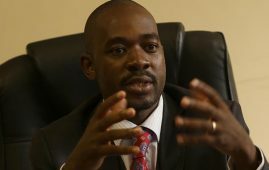 Reports say government is in discussions with Harare “about how best to help”. The question is how best to help whom? The lifting of sanctions will serve as a reward to the Zimbabwean government, emboldening them in their violent repression. The result will be an increase in the pressure on Zimbabweans to flee for their safety. Any assistance offered to Zimbabwe should not be without preconditions. We must not reward brutal regimes that gun their own people down in the streets. We must use our influence to defend the victims, not protect the aggressors. Given the failure of the ANC to properly manage our border security infrastructure and systems, the only option we have is to stop the problem in the first place. Not everything is in our power, but some things are.South Africa’s standing in Africa as well as its position as a non-permanent member of the UN Security Council should be leveraged to draw international attention to the crisis in Zimbabwe. All mention of lifting sanctions on Zimbabwe must cease until such time as the government of President Emerson Mnangagwa conforms its behavior to acceptable international standards. The illegal order to shut down the internet must be rescinded. 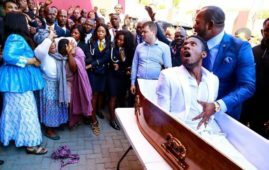 Minister Lindiwe Sisulu must stop assurances of assistance to Zimbabwe until all violence has ceased and all persons arrested as a part of the government’s crackdown have been released. History has taught us that pandering and appeasement do not stop murderous regimes. 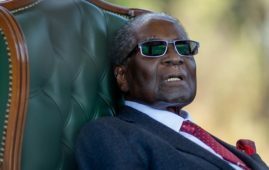 Zimbabweans would be better served by us if our government would stop ingratiating itself to Mugabe’s henchman and focus on building a foreign policy worthy of the country of Mandela. 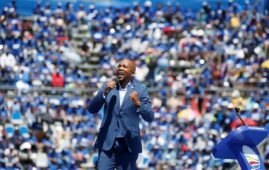 To ensure this happens, the Democratic Alliance has written to President Ramaphosa and we have given him until 25 January 2019 to detail the measures South Africa will take to address the human rights abuses in Zimbabwe. Should he fail to do so, we will approach international bodies directly including the United Nations Security Council and the United Nations Human Rights Council for intervention to stop any further violence. We will also request the International Criminal Court to investigate the conduct of the Zimbabwean government during this crisis. South Africa must always have a foreign policy built on a commitment to constitutionalism, the rule of law, and respect for human rights. – Stevens Mokgalapa is a member of Parliament and DA Shadow Minister of International Relations and Co-Operation.